The Bow Echo and Mesoscale Convective Vortex Experiment (BAMEX) was a study using aircraft and ground based mobile platforms to examine the life cycles of mesoscale convective systems. 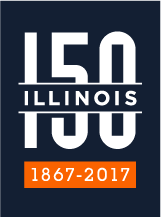 BAMEX was a collaboration of many scientists from a number of institutions including the University of Illinois. The Illinois component was led by Bob Rauber, Greg McFarquhar, and Brian Jewett. BAMEX represented a combination of two related programs to investigate two components of mesoscale convective systems (MCSs). These were (a) bow echoes, principally those which produce damaging surface winds and last at least 4 hours and (b) larger convective systems which produce long lived mesoscale convective vortices (MCVs). MCVs can focus new convection and play a key role in multi-day convective events affecting a swath sometimes more than 1000 km in length with heavy to perhaps flooding rains. The main objectives regarding bow echoes were to understand and improve prediction of the mesoscale and cell-scale processes that produce severe winds. For MCV producing systems the objectives are to understand MCV formation within MCSs, the role of MCVs in initiating and modulating convection, the feedback of convection onto MCV intensity, and to improve the overall predictability of the vortex-convection coupled system. At the University of Illinois we were interested in microphysical processes occurring within the trailing stratiform region behind convective lines of MCSs, particularly how microphysical processes affected the structure and evolution of the rear inflow jet, a common feature of MCSs. In BAMEX we used three aircraft, two equipped with dual Doppler radar capability, the third equipped with dropsondes, to map the mesoscale evolution of long-lived MCSs including the development of mesoscale vortices and rear-inflow jets. Dropsondes were used to document environmental structure, thermodynamic structure of the stratiform region (where rear-inflow jets and MCVs reside) and to capture the structure of mature MCVs in the absence of convection. In addition, a mobile array of ground-based instruments was used to augment airborne radar coverage, document the thermodynamic structure of the boundary layer, including any existing convergence boundaries, probe the surface cold pool, and measure surface horizontal pressure and wind variations behind the leading convective line. The combination of aircraft and ground-based measurements was important for understanding the coupling between boundary-layer and free-tropospheric circulations within MCSs, and, in particular, how the rear-inflow penetrates to the surface in nocturnal severe wind cases.Our major research activities focused on the analysis of data collected during BAMEX on real-data and idealized numerical modeling studies of mesoscale convective system structure. We have completed the data analysis and have published several papers. Davis, C., N. Atkins, D. Bartels, L. Bosart, M.Coniglio, G. Bryan, W. Cotton, D. Dowell, B. Jewett, R. Johns, D. Jorgensen, J. Knievel, K. Knupp, W-C. Lee, G. McFarquhar, J. Moore, R. Przybylinski, R. Rauber, B. Smull, J. Trapp, S Trier, R. Wakimoto, M. Weisman, and C. Ziegler, 2004: The BowEcho And MCV Experiment (BAMEX): Observations and Opportunities. Bull. Amer. Met. Soc., 85, 1075-1093. McFarquhar, G.M., M.S. Timlin, R.M. Rauber, B.F. Jewett, J.A. Grim and D.P. Jorgensen, 2007a: Vertical variability of cloud hydrometeors in the stratiform region of mesoscale convective systems and bow echoes. Mon. Wea. Rev. 135, 3405-3428. Grim, J.A., G. M. McFarquhar, R. M. Rauber, A. Smith, and B.F. Jewett, 2009: Microphysical and Thermodynamic Structure and Evolution of the Trailing Stratiform Regions of Mesoscale Convective Systems during BAMEX: Part II: Column Model Simulations. Mon. Wea. Rev., 137, 1186-1205. Grim, J.A., R. M. Rauber, G. M. McFarquhar, A. Smith, and B.F. Jewett, 2009: Development and Forcing of the Rear Inflow Jet in a Rapidly Developing and Decaying Squall Line During BAMEX. Mon. Wea. Rev., 137, 1206-1229. Stechman, D.M., R. M. Rauber, G. M. McFarquhar, B. F. Jewett, and D. P. Jorgensen, 2016: Interaction of an Upper-Tropospheric Jet with a Squall Line Originating Along a Cold Frontal Boundary. Mon. Wea. Rev., 144, 4197-4219. Cronce M., R. M. Rauber, K. R. Knupp, B. F. Jewett, J. T. Walters, and D. Phillips 2007: Vertical motions in precipitation bands in three winter cyclones, J. Appl. Meteor. and Clim. 46, 1523-1543.